The Islanders Dialed Up the Pressure Last Night and the Penguins Had No Answer - The Point Data-driven hockey storytelling that gets right to the point. The Islanders came out firing on all cylinders right out of the gate, scoring 33 seconds in. That goal was called back for offside, but they came right back, scoring again about a minute later. 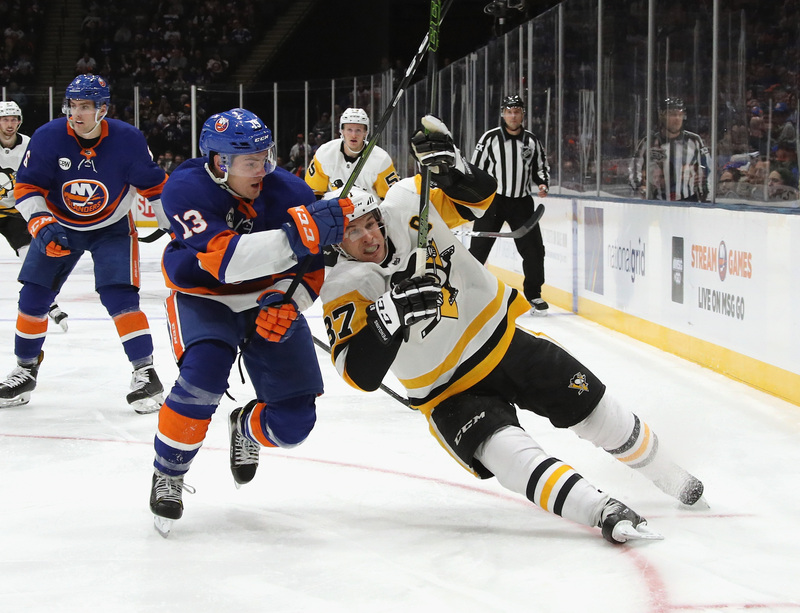 The Isles brought a heavy forecheck to Game 1 and it worked all night, constantly putting pressure on the Penguins defensemen and forcing plenty of turnovers in the offensive zone, 45 to be exact, most of any team from yesterday’s games. Barry Trotz kicked off the game by sending his 4th line of Cal Clutterbuck, Casey Cizikas, and Matt Martin, showing his hand early and telling the Pens his team wouldn’t be pushed around. That pressure was constant all night and the forecheck led directly to 12 scoring chances, the most they’ve had all season and one shy of the league-high from this season. Pressure on defensemen directly led to Jordan Eberle’s opening tally. Brian Dumoulin managed to get the puck back from New York, but he was surrounded and tried to move the puck quickly up ice, but his pass was inaccurate and ended up directly on Adam Pelech’s stick. Seconds later, Eberle picked up the rebound and scored his first career playoff goal. 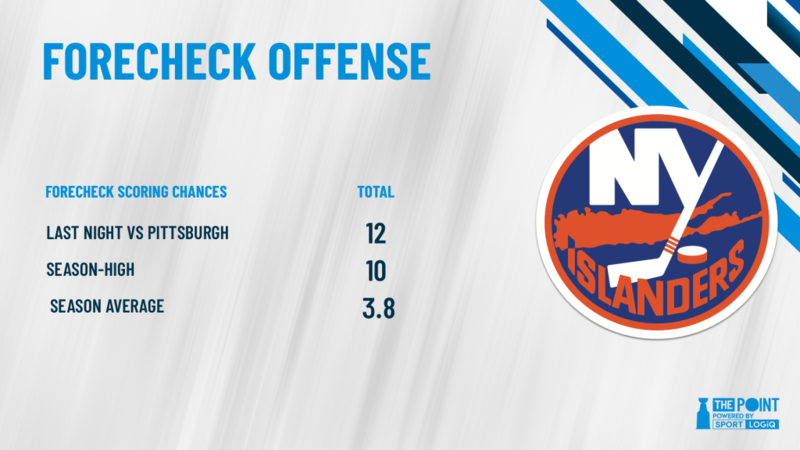 Pittsburgh is usually pretty good against such pressure, ranking 11th in forecheck chances against (3.4 per game), but they clearly have some tweaking to do before Game 2 to slow down the relentless Islanders forwards.